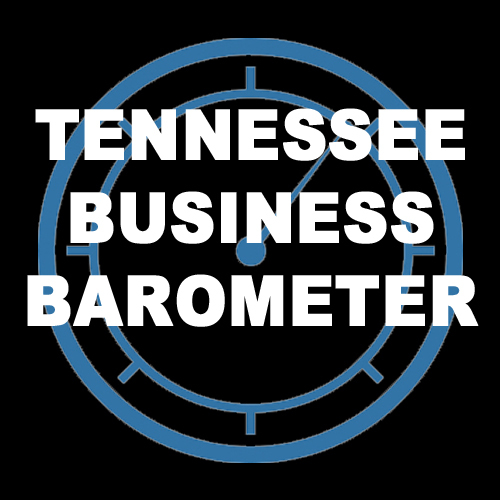 The Tennessee Business Barometer remained steady in January, reflecting an unchanged outlook regarding the economy compared to October, according to the latest snapshot of business.. 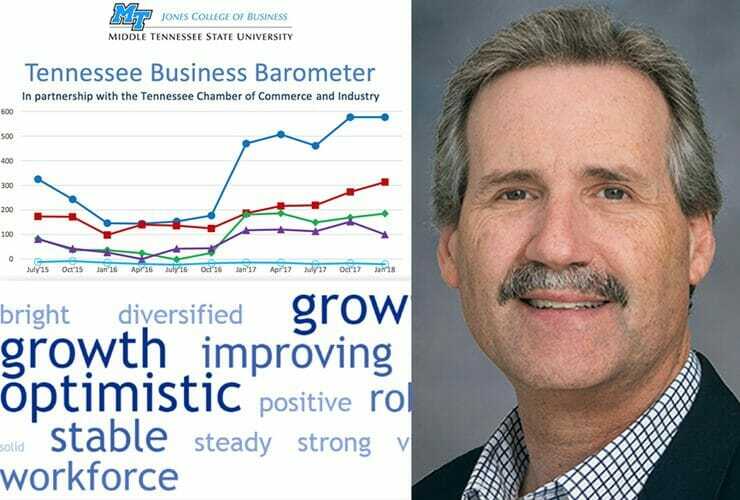 The latest Tennessee Business Barometer Index reversed its upward trend amid reduced optimism among Tennessee business leaders as well lingering concerns about finding qualified workers,.. 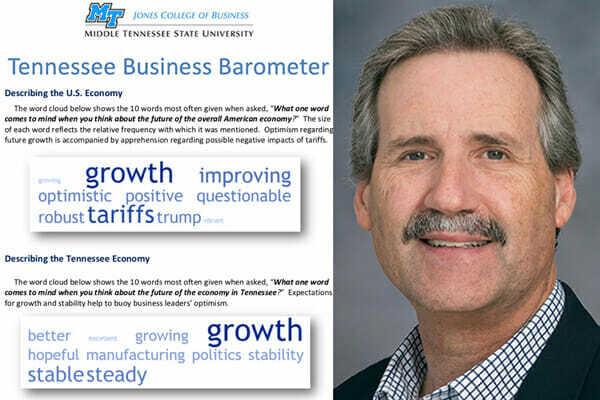 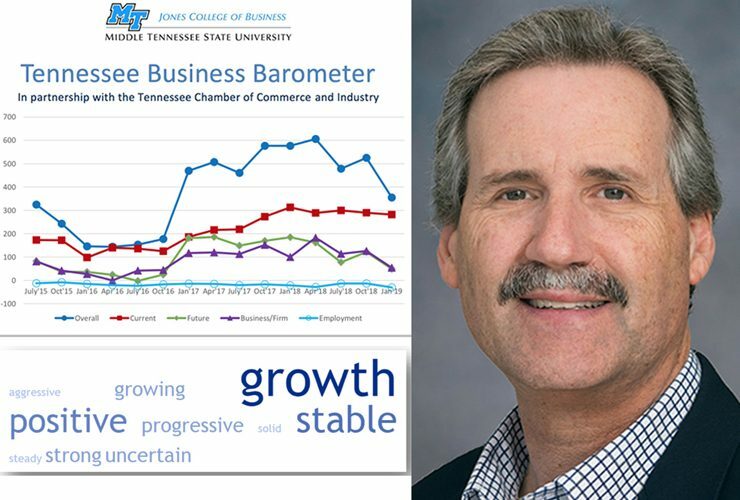 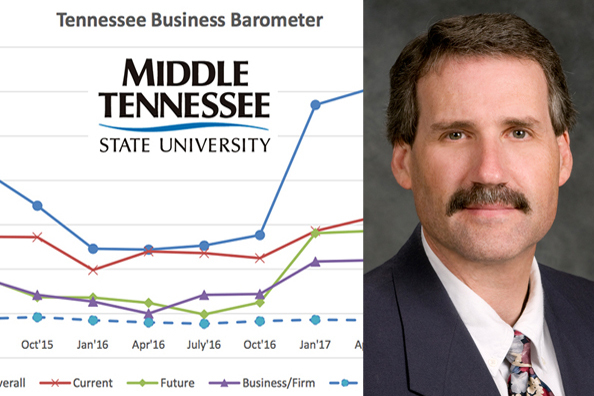 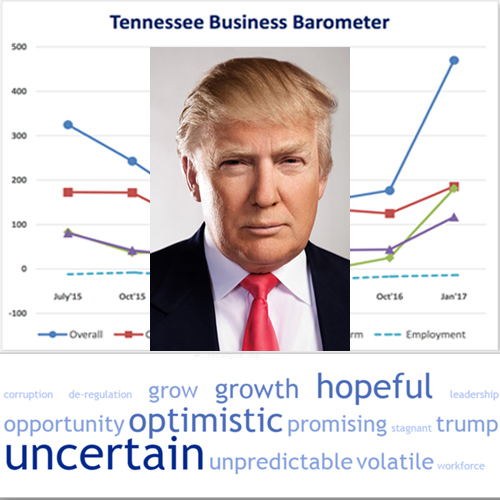 The Tennessee Business Barometer Index hit a record high following the election of President Donald Trump, according to the latest online survey by MTSU’s Jones.. 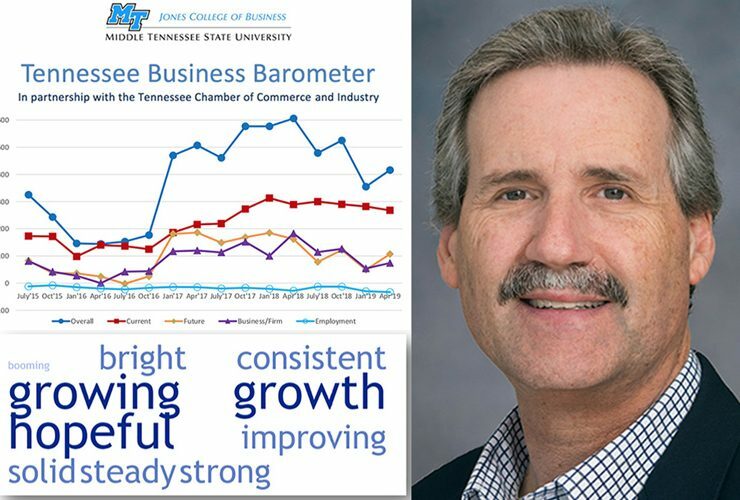 The latest Tennessee Business Barometer Index showed continued improvement in the overall outlook of Tennessee business leaders but growing concerns about the future of their..
Tennessee business leaders’ pessimism about the current economy appear to be stabilizing, though their outlook for the future isn’t strong, according to the latest online..